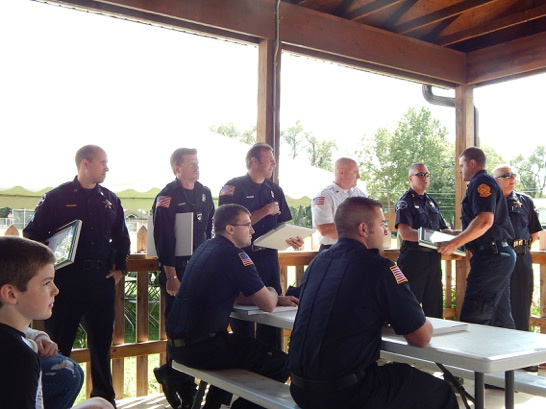 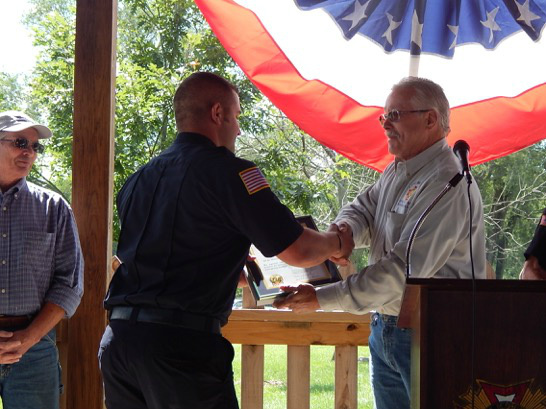 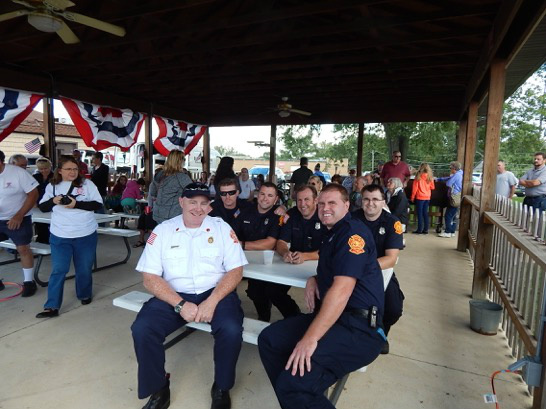 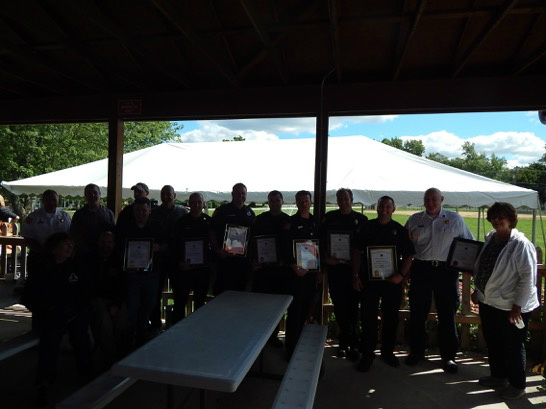 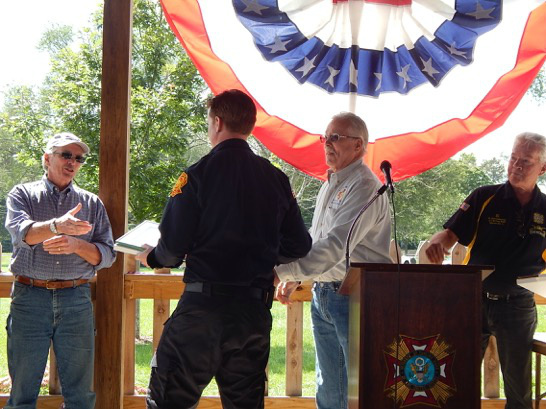 On Saturday, September 12, Warrenville VFW Post 8081 hosted a First Responders Recognition and City Employee Appreciation picnic. 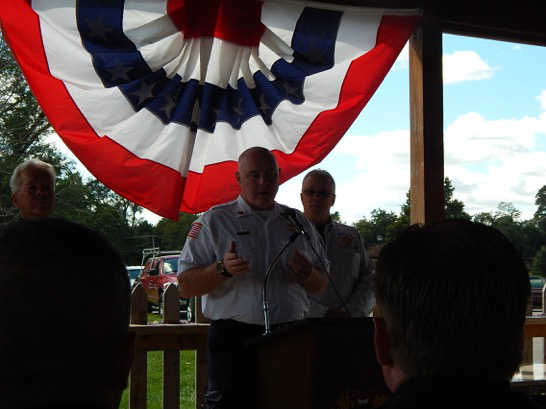 VFW Commander Jerry Goeb began the festivities with a moment of silence honoring the victims of September 11, and then proceeded to talk about how important it is to recognize the people that respond to emergencies whether they be for an individual or a natural disaster. 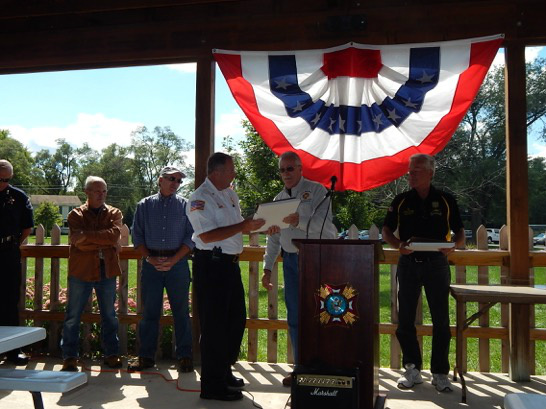 Mayor Brummel also thanked those in attendance and reiterated the importance of the City's first responders. 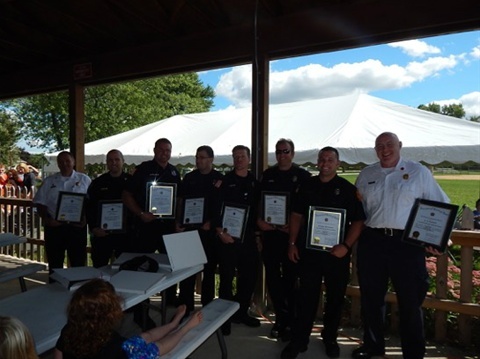 Recognition plaques were presented to those that assisted in saving the life of a young drowning victim earlier this year and the all-volunteer Emergency Management Agency (EMA) was recognized for their dedication to assisting the City with emergency situations year-round. 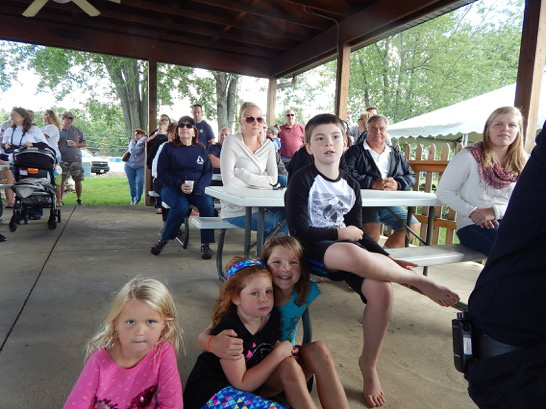 A delicious bar-b-que picnic followed the ceremony.